Which of the following digital music services do you use when listening to music? 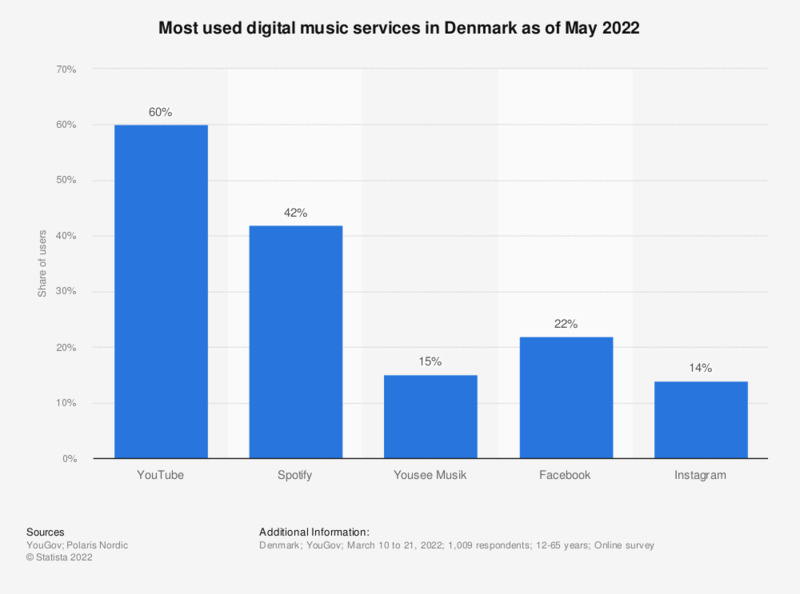 This statistic shows the results of a survey displaying the most used digital music services in Denmark in 2018. As the survey shows, Spotify was the second most used digital music service in Denmark in 2018, with a share of users of 38 percent. YouTube ranked highest among Danes; 66 percent of individuals interviewed stated to have listened to music via this platform. Statistics on "Digitalization in the media industry in Denmark"
Did you use online newspapers as news source in the last week?